OSAD believes in mentorship and that great faculty produces great students. Our faculty believes in this and shares their experience to bring out the best of each student. Instructors and students connect through courses, fellowships, projects, and faith to instill passion into the designer’s work. Each faculty is there to support students’ talent, creativity, and desire to serve the Kingdom of God. 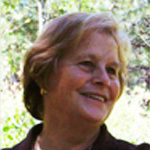 A celebrated preacher and artist for the past 35 years, Dr. Carter has enjoyed educating theology and the art as a professor for CARE at the GTU (Graduate Theological Union) in Berkeley and served as Associate pastor at the Sausalito Presbyterian Church since 1988. Her works have been displayed at numerous shows such as the Bade Museum , University of Washington , University of Puget Sound , Washington Art Association Annual, Olympia Guild, Bainbridge Arts and Crafts Invitational, and the San Francisco Arts Commission Gallery. She was the winner of two Juror's Choice Awards in 1975 and 1976 at the Olympic Artist's Summer Festival. She has also won awards at the North Kitsap Regionals and had solo exhibitions at the Sidney Gallery and The Art Cellar in Washington. Zimou Tan graduated from the Academy of Art College in San Francisco in 2001. There he earned degrees in both Traditional Illustration and Fine Arts. He founded a school for classical art training and old master techniques called Estudio Barbour Atelier located in New York and conducts art workshops and seminars. He has taught for over 12 years as an instructor at Academy of Art University and at other academic institutions. His paintings have been presented in the New York Portrait Society Gallery in New York City; American Artists Professional League- 73rd Grand National Exhibition in the New York City; de Young Museum, San Francisco, California, and Asia Society of Arts of America, San Francisco, California. Zimou’s work has been featured in “International Artist Magazine” “Art of the West Magazine”, "The artist magazine", "Stroke of Genius", “Chinese Master Artist”, and “The 50 Artists impacted China”. Zimou Tan was named “Chinese Master Artist” in December of 2007 by the Chinese Art and Culture Department. He was also selected as "The 50 Artists impacted China". Maurice Woods graduated with honors from the University of Washington (UW) with a MFA in Visual Communication Design. He founded the Inneract Project, a program to teach inner city youth and the community about the power of graphic design. He received the UW's GOMAP Presidential Scholar and the School Of Art Director's Award, which honors work that demonstrates excellence in academics and community service. He played basketball as an undergraduate and professionally worldwide for 7 years while pursuing a parallel career as a freelance designer. 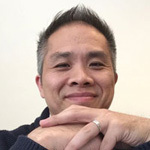 Prior to joining Olivet, he has worked for clients such as Nike, Greyhound, Experience Music Project (EMP), Priceline.com, and the San Francisco Muni Transportation Association (SFMTA). He has lectured nationally and internationally, serving as Co-Chair of Education for the AIGA San Francisco and nationally as a Board of Advisor for the Diversity Archive and Exhibition. 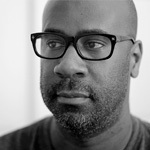 Maurice served as a senior designer at Pentagram and currently designs at Studio Hinrichs in San Francisco.